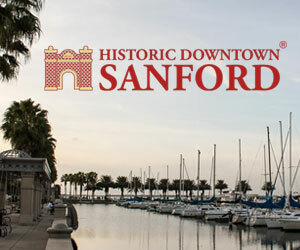 The St. Johns River Festival of the Arts board of directors feels strongly that the arts impact our lives in dramatic fashion and is the perfect way to explore new horizons, stimulate imagination, creativity and also develop self-esteem and interpersonal skills. 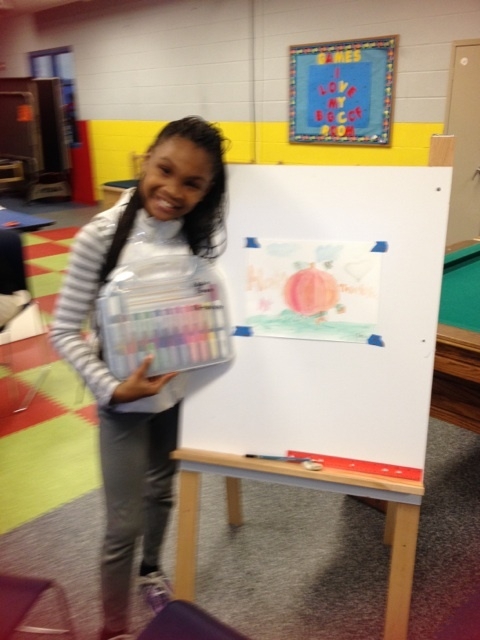 Art classes will be taught to different age groups in a variety of mediums with guidance from professional artists. ALL children are invited to attend regardless of ability to pay! 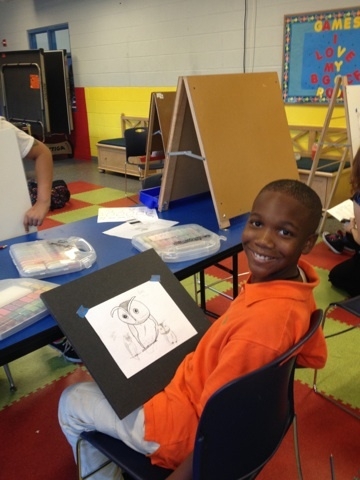 Through the generous support of our sponsors and funds raised during the annual St. Johns River Festival of the Arts fine art festival (first weekend in May) the Board of Directors has implemented a graduated tuition scholarship program for children living in Seminole County. 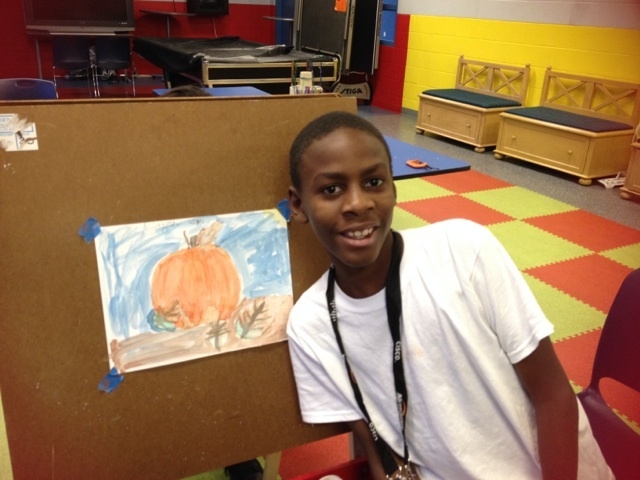 Johns River Festival of the Arts board of directors feels strongly that the arts impact our lives in dramatic fashion and is the perfect way to explore new horizons, stimulate imagination, creativity and also develop self-esteem and interpersonal skills. 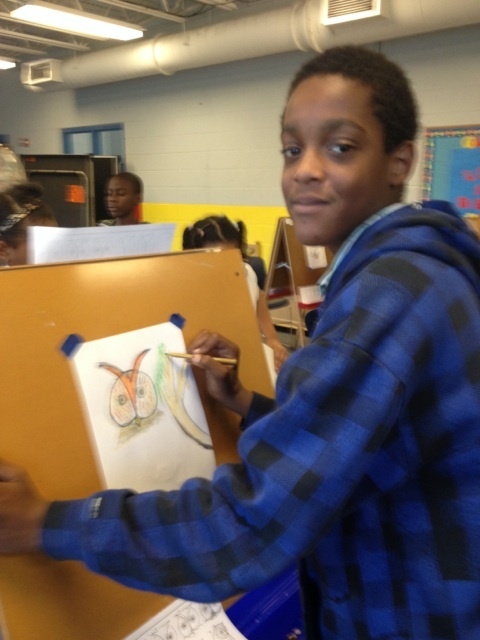 Art classes will be taught to different age groups in a variety of mediums with guidance from professional artists. Classes are open to all children in Seminole County ages 6-16. Classes will be taught in two age groups. 6-9 and 10-16. 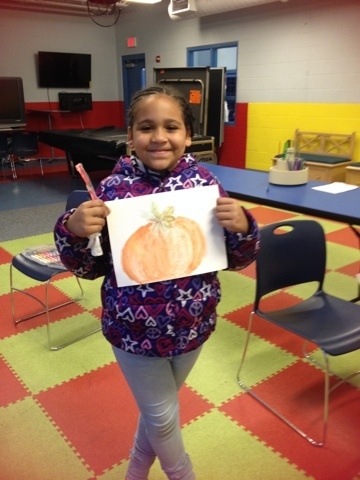 If you would like to volunteer a few hours a month as an art instructor, assistant or festival assistant, we would love to hear from you! A few hours per month makes a difference. Please call Liz Darwick at 407-314-6809 or Kim House at 407-416-1779. 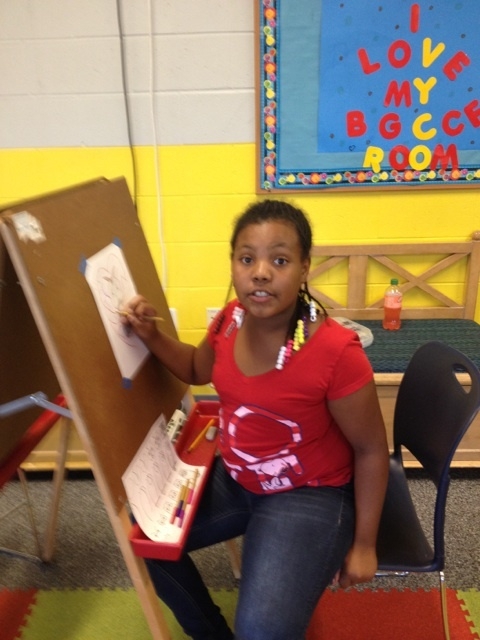 A parent or guardian most accompany the child on the first day of class 30 min prior for registration. Once your child is registered for the first class he or she is registered for all classes. Students will not be admitted without a signed application form by their parent or guardian. Applications will be available if you do not have the ability to apply online. 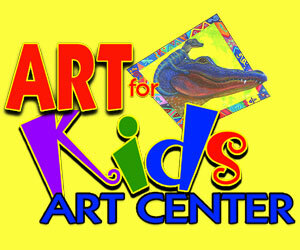 Application for the “Art-For-Kids” scholarship program is provided on our website at www.StJohnsRiverArtFest.com. Classes are available to all that apply, regardless of ability to pay. For more information please visit our website or call Kim House at 407-416-1779 or Liz Darwick at 407-314-6809. 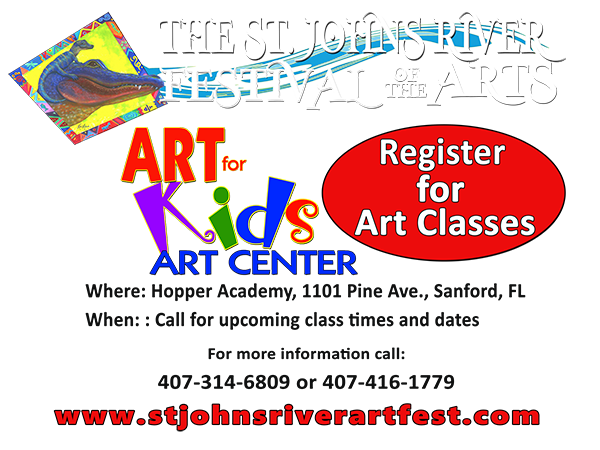 Send any email inquiries to StJohnsRiverArtFest@gmail.com.